Pumpkin is a type of squash and a native American food. Pumpkin pie can be traced easily to the 1600’s, where it was spelt ‘pompion’. However, there were several variations. 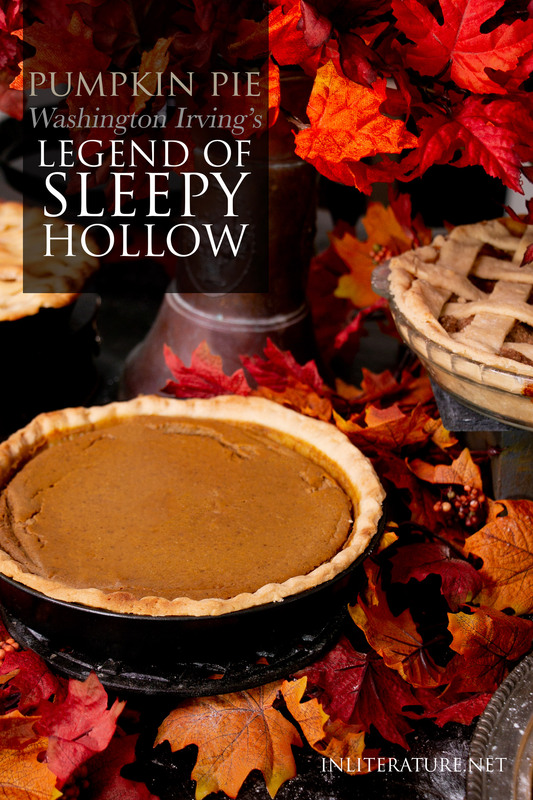 In the 1800’s, the time Washington Irving wrote The Legend of Sleepy Hollow, it’s possible you would still find a version of ‘pumpkin pie’ where a pumpkin was stuffed with apples, spices and sugar, then baked whole. However American Cookery by Amelia Simmons in 1796 gives a recipe for Pompkin Pudding which we know as the pumpkin pie we see today. No. 1. One quart stewed and strained, 3 pints cream, 9 beaten eggs, sugar, mace, nutmeg and ginger, laid into paste No. 7 or 3, and with a dough spur, cross and chequer it, and baked in dishes three quarters of an hour. Preheat oven to 450F/ 230C. Mix together all the ingredients and pour into the pie crust. Reduce heat to 325F/160C when you place the pie in the oven and bake for 50 minutes. 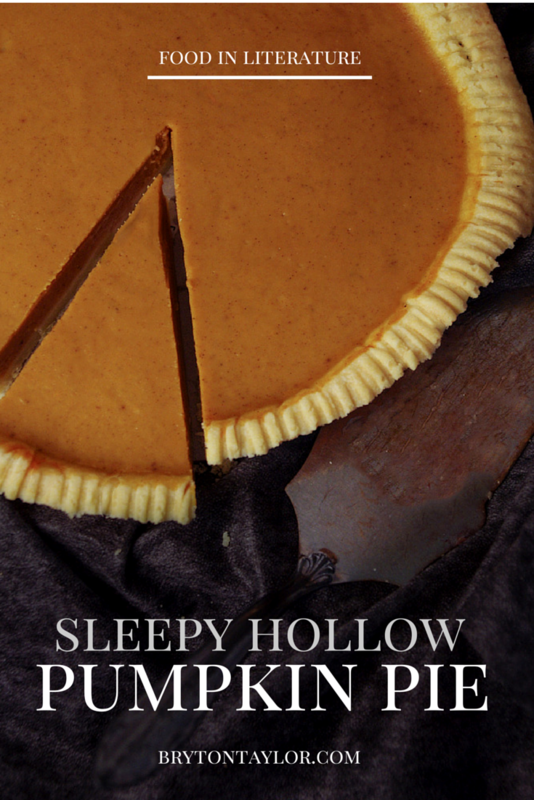 A knife inserted into the middle of the pie will come out clean when finished. Use the pie crust recipe here. 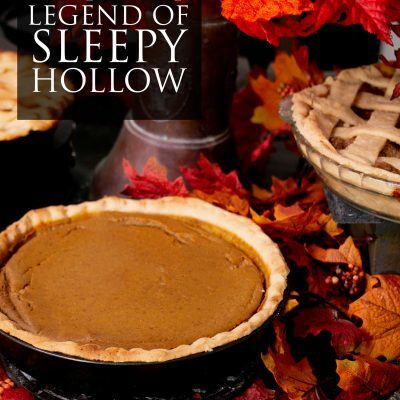 Or go back to the main post on Throwing a Legend of Sleepy Hollow Party.